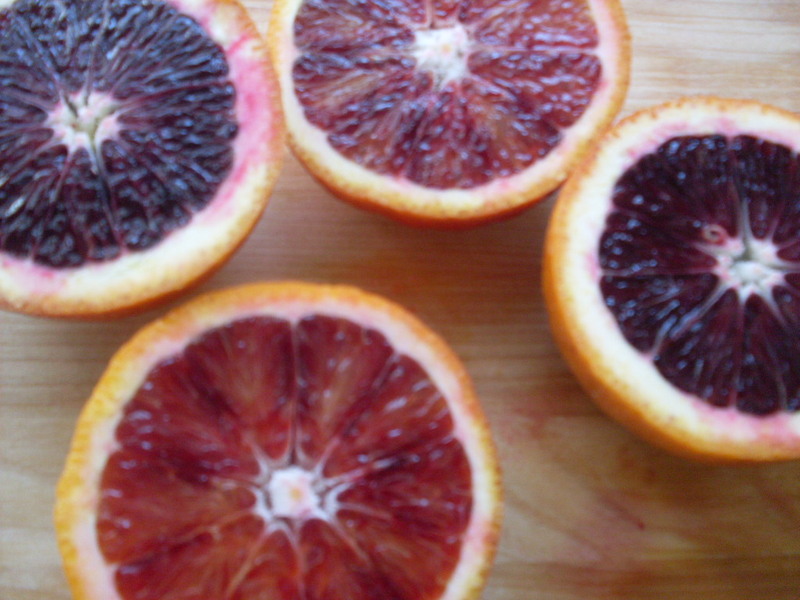 I love blood oranges so much. 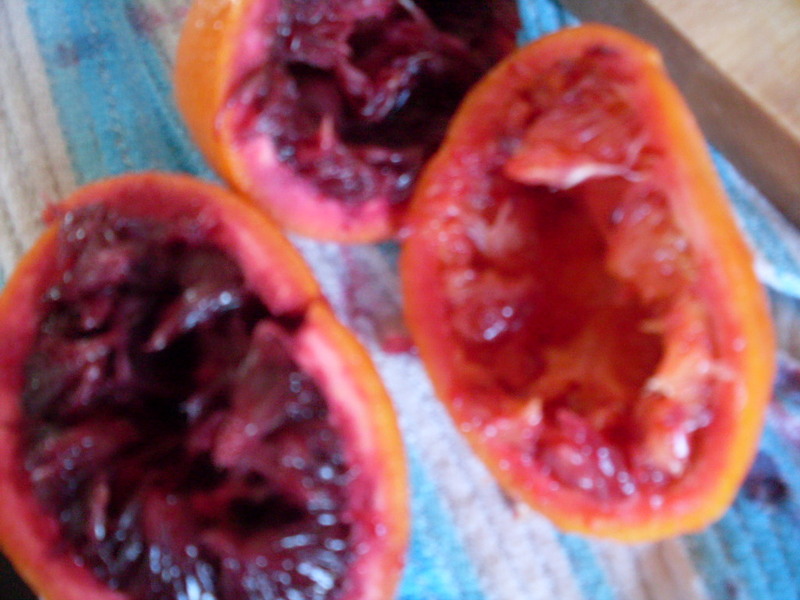 It’s not just their deep red flesh – they taste like a mash of oranges and raspberries, at least to me, and they peel easily and they aren’t so bitter that you can’t eat eight of them in one sitting if you wanted to, and I want to, most of the time. When I was a kid, my mom used to make lemon slice – lemon custard baked onto a shortbread cookie crust. I think everyone’s mom made it – it was the kind of thing you’d have at open houses, grown-up birthday parties, or on Sundays. 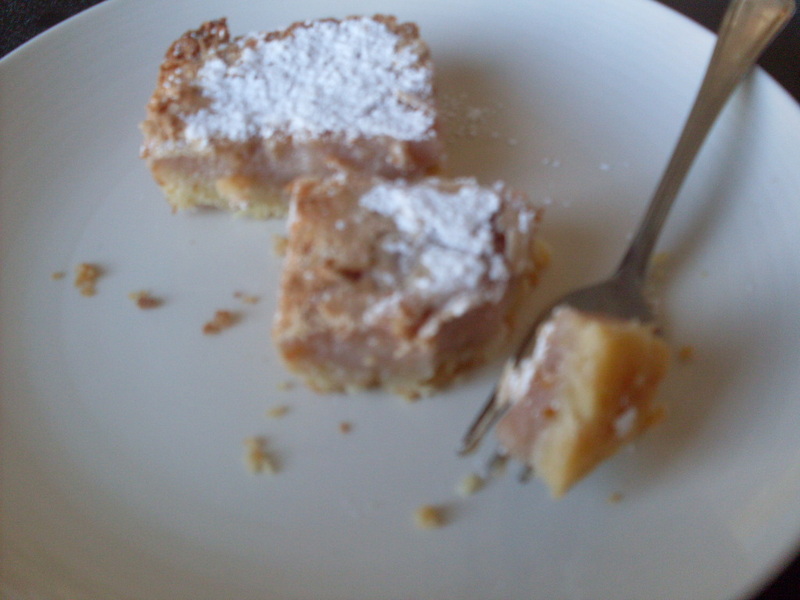 I’ve made them with limes, and the result was delicious, and with oranges. 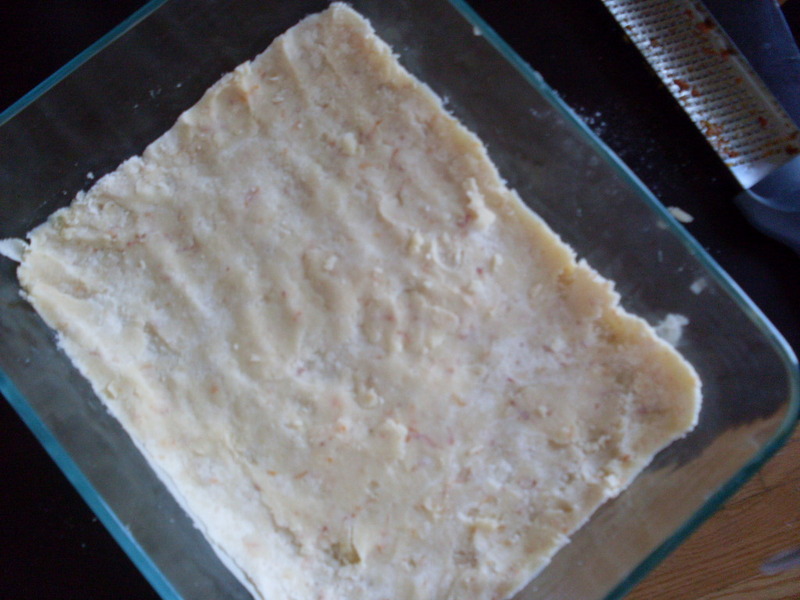 I wonder about grapefruit – I bet grapefruit cookie bars would be pretty interesting. Today, we have blood oranges, because to be honest when it’s blood orange season we always have more than we can peel and eat on hand anyway. I hope you like these. They’re like mom would make – especially since they’re adapted from a recipe I swiped borrowed from her tattered kitchen binder. But prettier, because they’re pink. Cream together the butter, sugar, and zest to make your crust. 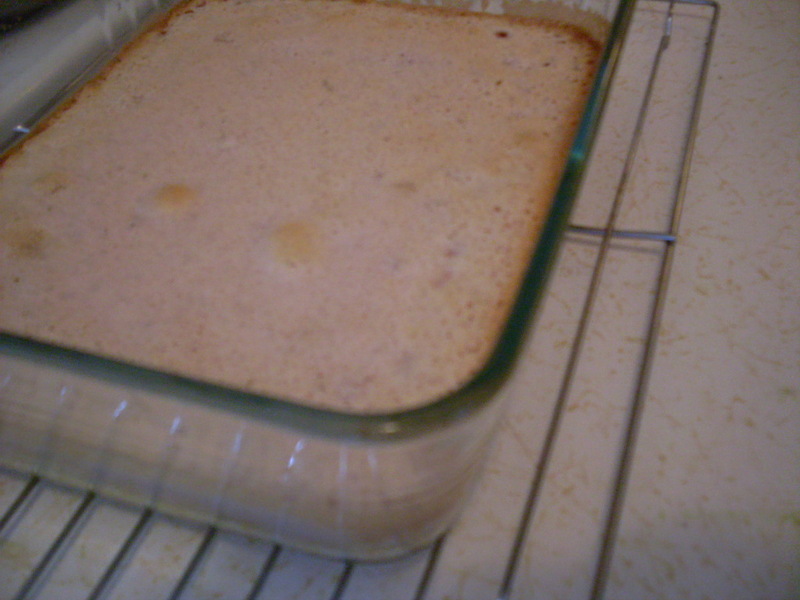 Stir in flour until a crumbly dough forms, and then press it into a 9″x9″ square baking dish. Bake for 20 minutes, until the edges have browned and it smells like cookies. Remove from oven and cool in the pan on a rack, about 20 minutes. Whisk together your zest, orange juice, lemon juice, sugar, eggs, flour, and salt. Pour over crust. Bake for 30 to 35 minutes, until lightly golden around the edges, dry on the surface, and pretty much firm in the centre when tilted slightly. Cool, again in the pan, on a wire rack. Once completely cooled, sprinkle with confectioner’s sugar and cut into slices. Serve with tea. Or, if you had a crappy work week and it’s over now, serve with a glass of sparkling wine with just a squish of blood orange for colour. < Previous Casseroles: Not totally gross? !